I don’t want this site to be all Sasquatch! all the time, but the day-by-day lineup for Sasquatch! 2010 was revealed last night and it’s pretty interesting. First thing I notice is that Ween is headlining one night of the festival. I know nothing about Ween so I am especially intrigued by this headliner selection. Oh wait, I know one thing about Ween. They have very passionate fans. Case and point, I wrote a pretty decent and favorable analysis of the Sasquatch! lineup and commenters over at the other Ear Candy (who are presumably Ween fans) got fussy because I didn’t mention Ween. This makes me really curious to find out what Ween is all about. Other interesting observations of the lineup include some of the stage placements. There isn’t a lot happening on the Yeti stage right now and that’s likely because the Yeti stage typically features mostly local acts and not many smaller local bands have been announced as a part of the lineup as of today. But I did notice The Hold Steady and Public Enemy are both on the Wookie stage the same day. I hope The Hold Steady gets the slot before a Public Enemy stage-headlining slot because I’d hate to have to choose between Craig Finn on one stage and Jim James on another stage at the same time (sorry Jim, you lose). February 17, 2010 No categorySasquatch! Typically by this time each year for the past few years there’s a lot that’s known about the lineup for the annual Sasquatch! 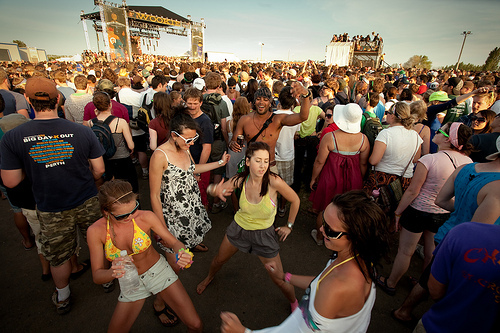 Music Festival. As I’ve written about previously, that’s not the case for Sasquatch! 2010. However, fortunately for those of us who are Sasquatch! nuts (like yours truly) the mystery that is the lineup of festival’s ninth installment will be unveiled in less than 24 hours. Since there is a lot known about this year’s Sasquatch! I haven’t been bugging bands, labels and publicists about the festival in an effort to break the lineup news like I have done in the past. I decided to leave the prediction game to the folks over at the Sasquatch! Message Board and to my buddy Dustin over at his Sasquatch! blog. But a blog with my name on it wouldn’t be the same without me taking some sort of stab at predicting the Sasquatch! lineup so below is my guess at who might be at Sasquatch! 2010. Before you go getting all excited about my prediction, please keep in mind that this is all one big guess and it’s mostly a wish list of acts I would like to see at the Gorge for Sasquatch! I have no inside knowledge about the festival’s lineup. Really anybody could take wild guesses at predicting the lineup this year and that is just what I did. My guess about my guess is that about half of the 75 acts I listed will actually be at Sasquatch! February 15, 2010 No categorySasquatch! The votes have been tallied and the results are in. 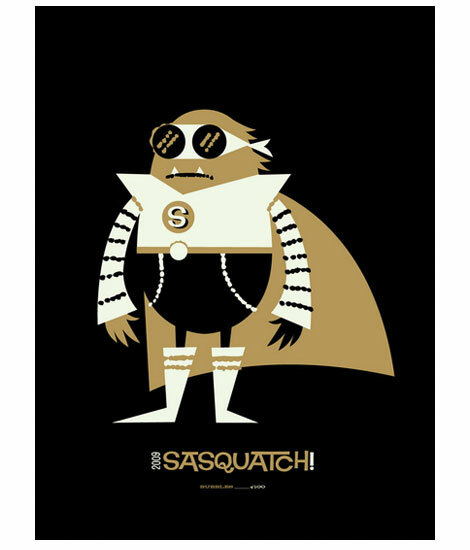 Here are the winners of the 2009 Squatchies!, Ear Candy’s annual Sasquatch! awards, as voted on by you, the readers. You can check out all the categories and the nominees by clicking here for round one, click here for round two and click here for round three. June 5, 2009 No categorySasquatch! June 4, 2009 No categorySasquatch! Here are the categories for the second batch of Squatchies!. You can vote for best cover song, biggest surprise and the set you wish you saw by clicking here. June 2, 2009 No categorySasquatch! June 1, 2009 No categorySasquatch! I wasn’t able to catch every minute of every set by every band at Sasquatch! but I did manage to see 37 bands throughout the weekend. Here’s a brief rundown of my thoughts on some of the bands whose sets I was only able to catch for a few songs. I was fortunate enough to be an actor on stage during part of the band’s crazy spectacle of a show. It was a very fun experience. 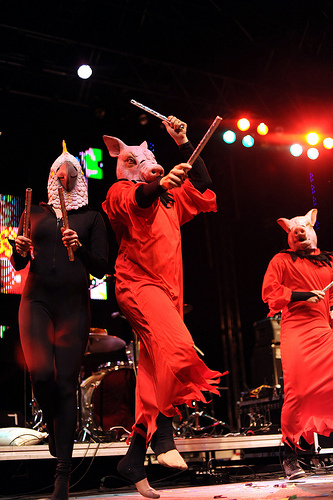 As for the set itself, well, it involved men in pig costumes, a guy in a tiger mask “biting” another guys crotch, masked dancers, smoke, some odd video images and a Prince cover. Perhaps one of the most perplexing live shows I have ever seen. I definitely walked away with a WTF look on my face. I also walked away wanting to listen to Skeletal Lamping over and over again because the set and the spectacle that came along with it was that good. One of the biggest crowds on the Wookie stage all weekend was for Girl Talk. I’m still working on writing up the final few capsules of bands that I caught at Sasquatch! but in the meantime here is a slideshow of 50 of my favorite photos from Sasquatch! 2009 as taken by Ear Candy’s Steven Friederich, myself and the trio of Sasquatch! staff photographers (Sean Pecknold, Christopher Nelson and Jackie Kingsbury). I attempted to give credit whenever possible. Expect to read about Ben Harper, BLK JKS, School of Seven Bells, The Knux, Monotonix, Beach House, The Dutchess and the Duke, of Montral and Murder City Devils soon. May 28, 2009 No categorySasquatch! Here’s the final Sasquatch! dispatch from Ear Candy’s Brent Stecker. On a day that was dominated by folk and dance-related acts, these shoegazers seemed out of place. There was nothing wrong with what they did, but they would have been better suited on Sunday’s bill with the whole NIN/JA thing. But even though the crowd was worn out by the time they showed up, Silversun Pickups kept the energy up as much as they could (smart move opening with “Well Thought Out Twinkles”). Also, I thought it was classy that they dedicated “Panic Switch” to former Wilco member Jay Bennett, who passed away on Monday, but the nice gesture subsided when the guitar cut out during the song. Still, they rock. No qualms here. Now this was THE dance party of the weekend. The set started with dozens of fans on the stage dancing, and about an hour of almost non-stop music followed. For those not familiar, Girl Talk is Gregg Gillis, a DJ who just does crazy mashups — and people love it.